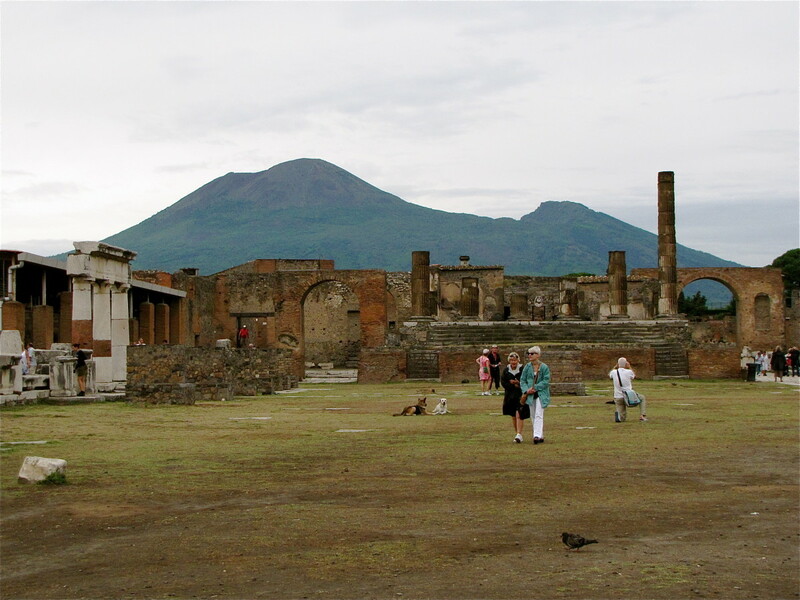 One of the most popular visitor attractions in Italy is without a doubt the ruins of the ancient lost city of Pompeii. Buried by the eruption of nearby Mount Vesuvius in 79AD, the excavated site is a fascinating glimpse back in time to the days of Roman life in the first century AD. Designated a UNESCO World Heritage Site in1997, Pompeii attracts over two million visitors every year. The history of Pompeii actually goes back much further than the first century. Archaeological digs at the site indicate that the community was most likely founded sometime around the 7th to 6th century BC. It is also clearly evident from core samples taken from the site that Pompeii had suffered from the wrath of Mount Vesuvius prior to the devastating eruption in 79AD. Despite its prior history with the volcano, Pompeii prospered and in the one hundred and fifty years leading up to the eruption saw a building boom of sorts. The town, which had a population of about twenty thousand residents, was quite sophisticated for its day with a large amphitheatre, an aqueduct system to supply water, numerous public baths, and many private homes and businesses. At the time of the eruption Pompeii was at its peak in Roman society and the community was a popular holiday spot for Romans. 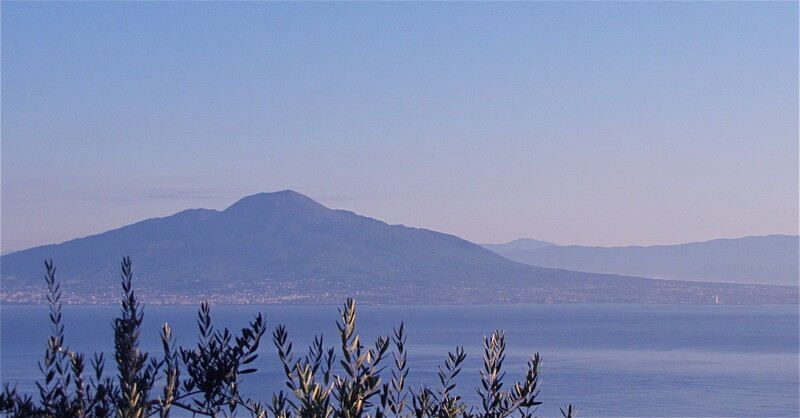 Located about five miles from Mount Vesuvius and very near the coast, Pompeii was situated in a beautiful setting that made for the perfect vacation destination in its day. 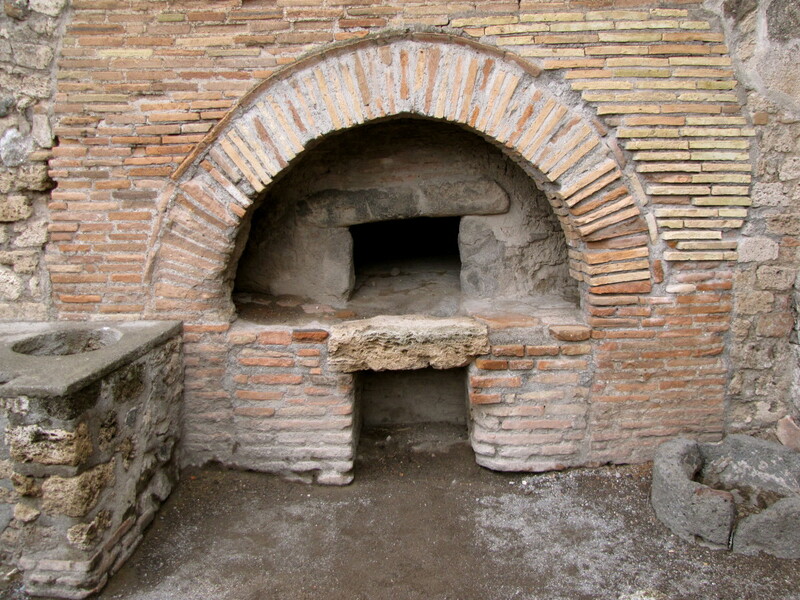 Life in Pompeii in the first century AD was one that required a certain amount of tolerance to minor earthquakes. Their frequency made these minor quakes nothing more than a nuisance and an afterthought, until February 5th, 62AD, when a severe earthquake inflicted considerable damage to Pompeii and the surrounding area. Most of the buildings in Pompeii were damaged during this quake and this started a period of rebuilding in the city, which was still ongoing seventeen years later when Mount Vesuvius erupted in 79AD. 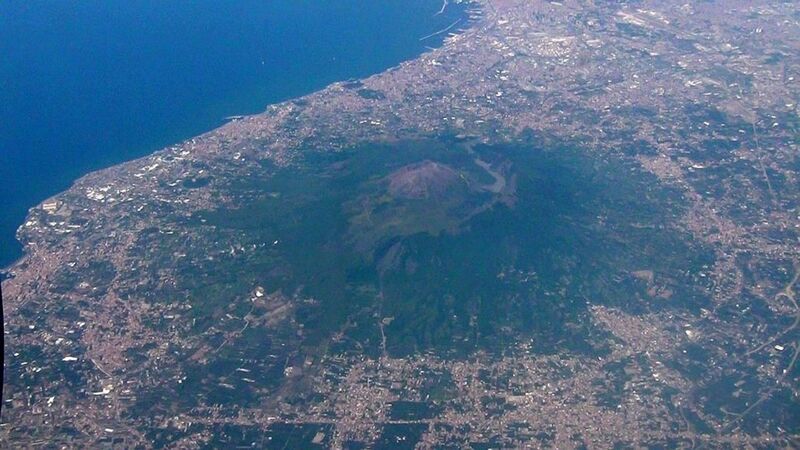 Historical records indicate that the eruption of Mount Vesuvius occurred on August 24th, 79AD. This account of the eruption was recorded by Pliny the Younger, a lawyer and author who witnessed the event from across the Bay of Naples. His uncle, Pliny the Elder (makes sense), was Admiral of the Imperial Navy at the time and was killed while trying to rescue evacuees from Pompeii. Pliny the Younger’s account of the eruption was recorded in two letters, which were written twenty five years after the eruption. These letters are the only surviving eyewitness accounts of the event and are considered to be of incredible historical significance because of their extremely accurate portrayal of the eruption of Mount Vesuvius. Excavations of the city, however, suggest that the eruption may have actually occurred about three months later in October or November. This finding is supported by a number of clues uncovered during excavation, including the fact that people buried by the ash appeared to be wearing clothing more appropriate for colder weather. Also, the fruits and vegetables being sold in the markets were typical of October, while the fruit one would expect in August was being sold in dried form. Scientists can find no reason or explanation for the discrepancy and this mystery remains unsolved. The generally accepted date of the eruption, however, is still August 24, 79AD. No matter when the eruption actually occurred, the results were clearly devastating. Pompeii and the nearby town of Herculaneum were both completely buried by up to 25 meters of hot volcanic ash in a matter of hours. Upwards of twenty thousand people were killed in the violent eruption. Scientists have concluded recently that most of the deaths from Pompeii were likely the result of extreme heat produced from the volcano and not ash suffocation as previously thought. 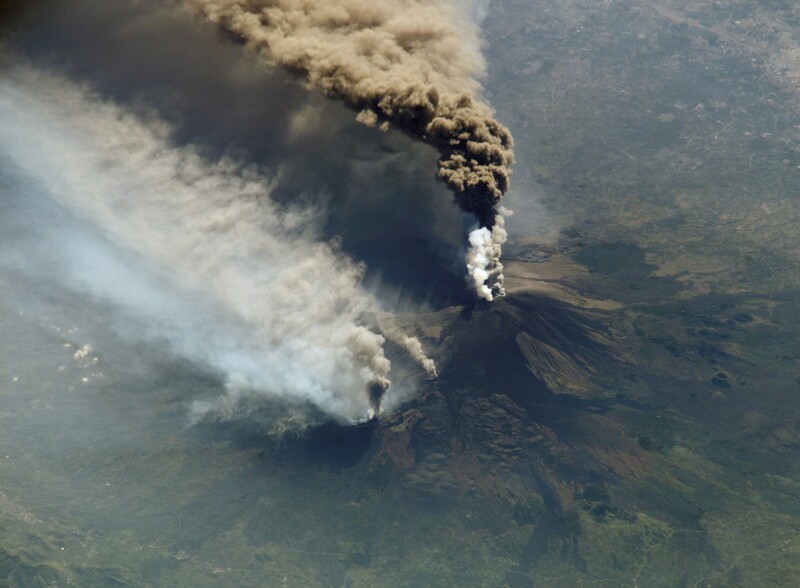 Simulations of the eruption have indicated that the event was likely to have caused temperature surges of up to 250 degrees Celsius at ten kilometers from the vent. Temperatures this high would have been sufficient to cause instantaneous death. 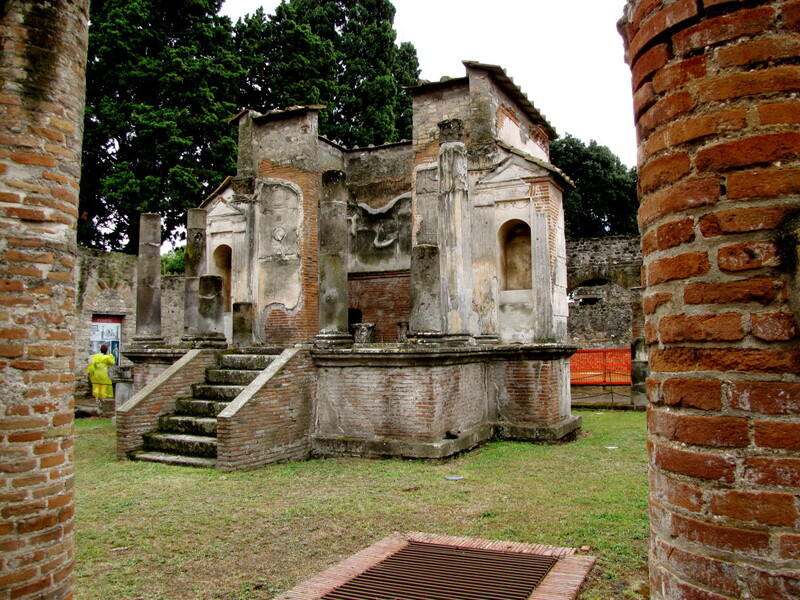 Buried for centuries, it was not until 1748 that Pompeii was rediscovered and excavations of the area began. The remarkable preservation of the ancient city is due to the fact that it was buried for such a long time and not subjected to the deteriorating forces of air and water. Over the last 250 years or so, excavations have unearthed about two-thirds of the city. While this is great for tourists visiting Pompeii, it has created a whole new problem with an increasingly rapid rate of deterioration of the ruins. Continued excavation of Pompeii has been pretty much halted today with funding going instead toward preservation of the site. While visitors are granted access to a large portion of the excavated site, much of it is now off limits to the general public. Even with the tighter controls in place today, however, visitors can easily spend a couple of days to see the entire site, which is quite extensive. Getting to Pompeii is a fairly easy task with the Circumvesuviana train stopping at the Pompei Scavi (train station). The station is approximately 100 meters from the excavation site. 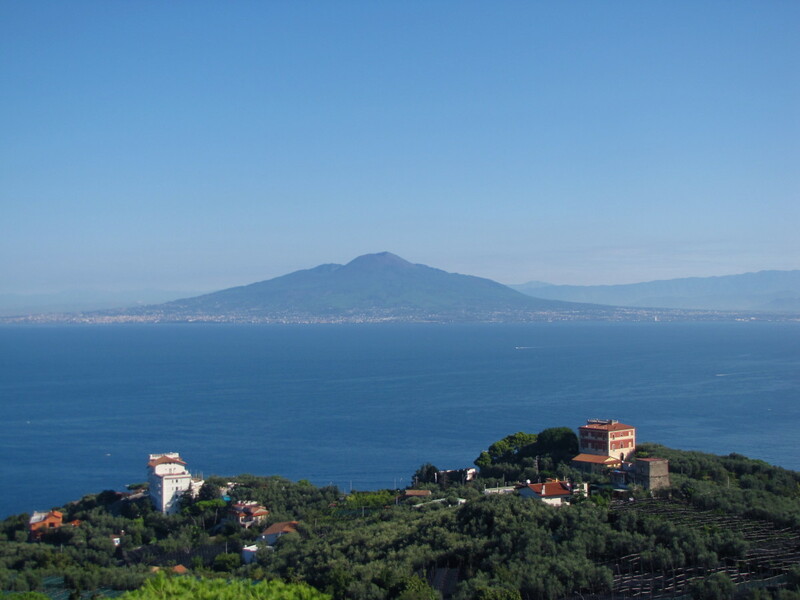 The train is the best way to get to Pompeii and is about a thirty minute ride from Sorrento, a little longer from Naples. The Circumvesuviana will cost you between 1.80 euro and 3.20 euro depending on your point of departure. 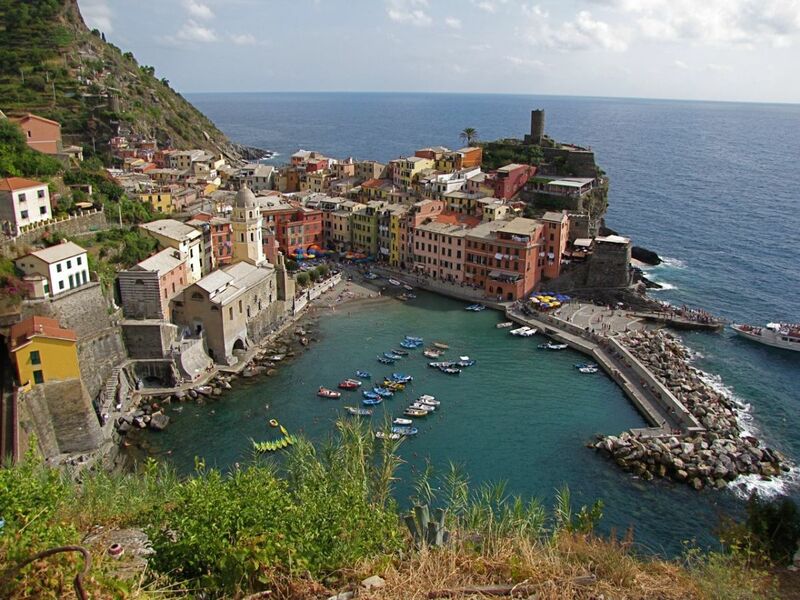 You can also take the blue SITA buses from Naples for the same cost. If you are driving to Pompeii there are many self-park lots near the entrance to the excavation site for a nominal fee. Last ticket sold is 90 minutes prior to closing. Tour Guides are usually available outside the site and can be hired for approximately 12 euro (does not include entry fee). Just be sure you can understand them before you hire them? You can also arrange a tour guide ahead of time if you desire. Wear proper footwear. This is an archaeological excavated site and footing can be tricky in areas. Make sure you have a good map of the site. Plan on spending enough time to do the site justice. There is a restaurant on the premises if need be. 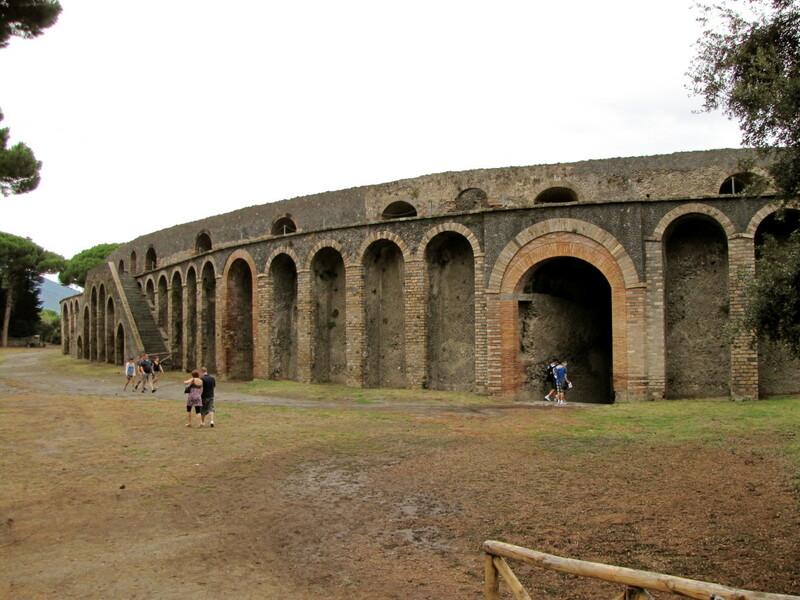 There is much to see at Pompeii so plan on spending as much time as possible here. There are numerous notable sites including the amphitheatre, which was completed in 80BC. Built to hold up to 20,000 spectators, this amphitheatre is one of the best preserved and earliest surviving Roman theatres in Italy. The forum was the center of civilian life in Pompeii and is surrounded by many buildings, which were used for business, government and religious purposes. As you walk the grounds of ancient Pompeii you will pass all the normal things that encompassed the lives of people during this era. There are homes, temples, bakeries, bars, and restaurants. The streets, which are made of stone blocks are unmistakable, and still contain the worn, smooth tracks created by the carriages of the time. 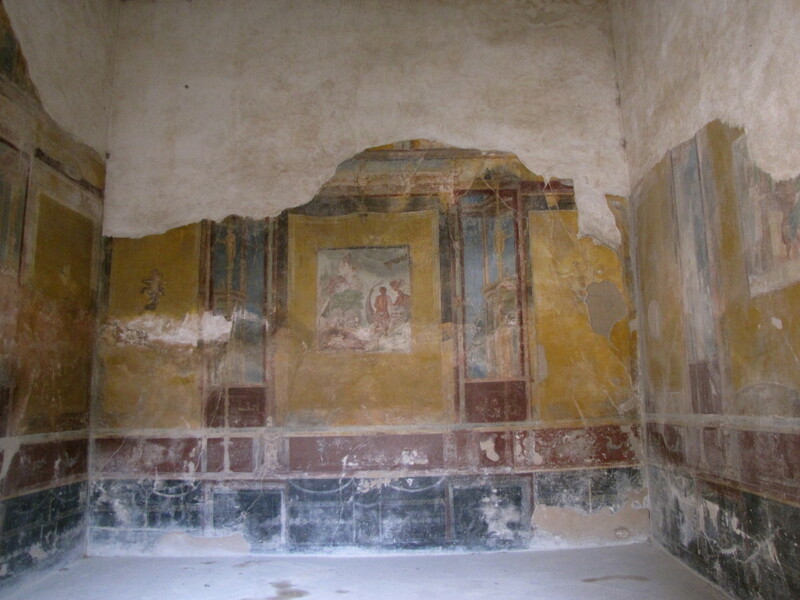 Many of the named homes such as the House of the Vettii, the House of the Ancient Hunt, and the House of the Tragic Poet, contain impressive frescoes from the period, which are remarkably well preserved. 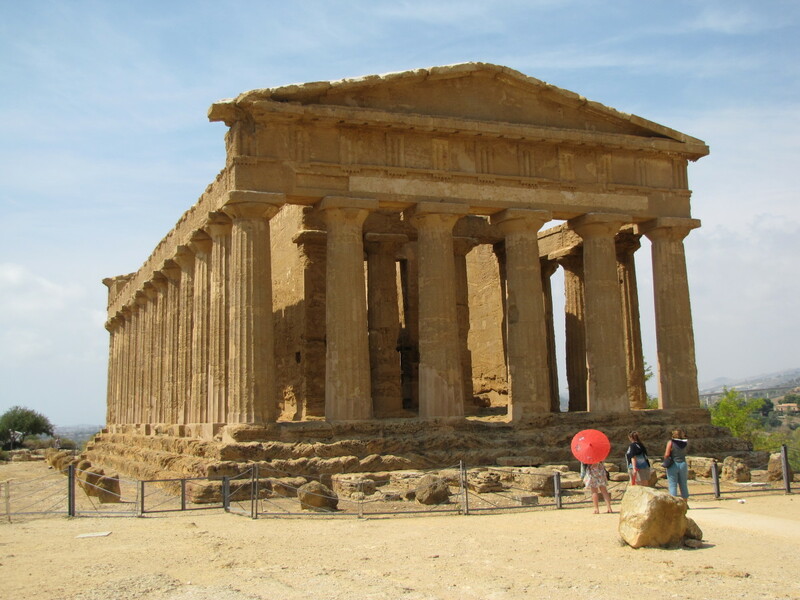 And of course as we are in Italy, there are the remains of numerous temples including the Temple of Apollo, which dates to 575 BC and contains some of the oldest remains in Pompeii. Perhaps the most amazing and grizzly discovery from Pompeii was made in 1860, when excavators noticed voids in the ash that contained human bones. They soon realized that these voids were left by human bodies that had decayed. 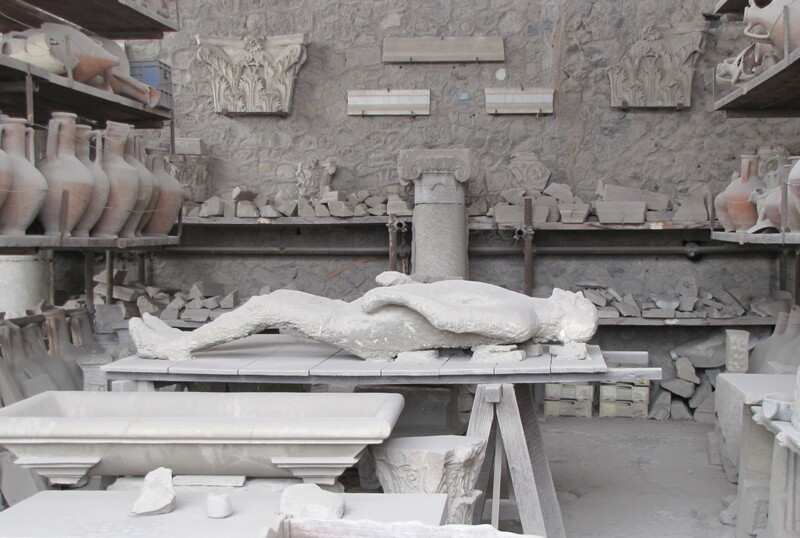 A technique was soon developed whereby plaster would be poured into the space to recreate the forms of the victims. The results have produced a sad and compelling tale of the last moments of many of the victims. The Garden of the Fugitives is one of the more solemn areas of the site, which depicts the final resting position of numerous individuals including children. One can only begin to wonder at the agony of their final moments. 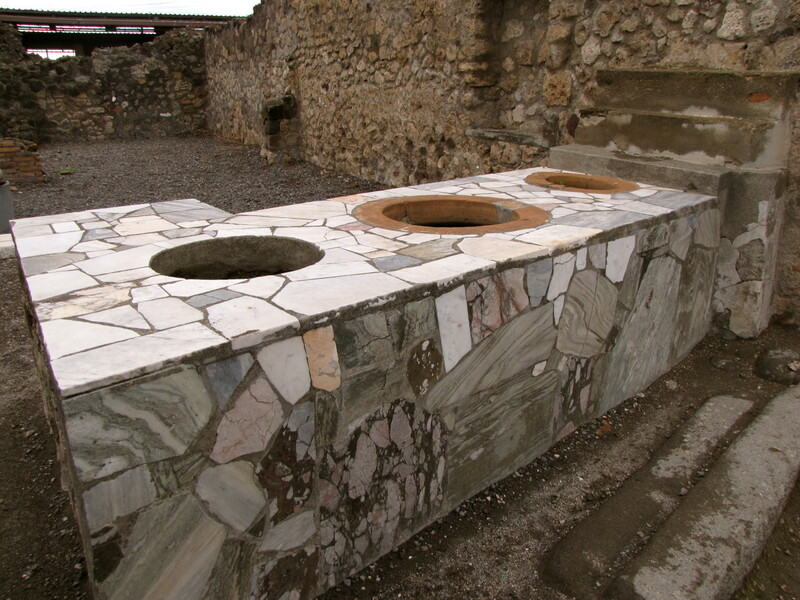 Certainly a walk through the Pompeii excavation site is about as close as one can come to reliving ancient Roman times. It really is hard to believe that this city prospered almost two thousand years ago and was then frozen in time by the eruption of Mount Vesuvius. The collection of various artifacts from the site, many of which are on display, is simply astonishing. I am certain that your visit to Pompeii will be a day you will not soon forget. Enjoy your visit to this archaeological wonder. Is there train service from Naples to Pompeii? Yes, there are multiple trains that run between Naples and Pompeii daily. 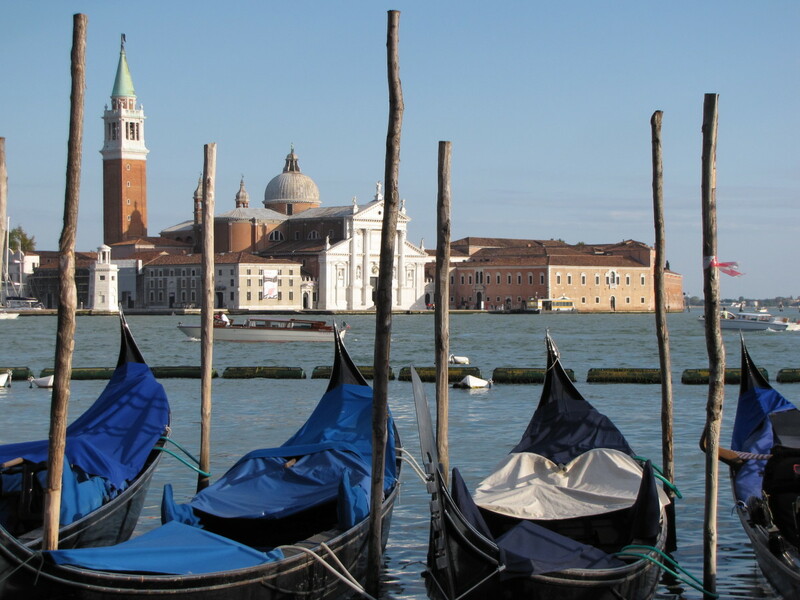 The trip takes between 25 to 45 minutes depending on which train you take, and the cost is just a few euro. Thank you Rehan. It is amazing to me how advanced life was so long ago. In many ways their daily lives were not much different than ours today. The site is certainly a reminder of the power of nature. Thanks for stopping by. Well written @Bill... lovely piece! We have managed to get by with just some limited Italian but I will say that a little can go a long way in Italy. We usually brush up of some common phrases and words and we generally know just enough to be dangerous :) I will say that attempting to speak a little Italian while there seems to be appreciated by the locals and often leads to a few laughs. Give it a try? Fascinating hub. One can only imagine what their last terrifying moments were like. Thankfully death was instantaneous. 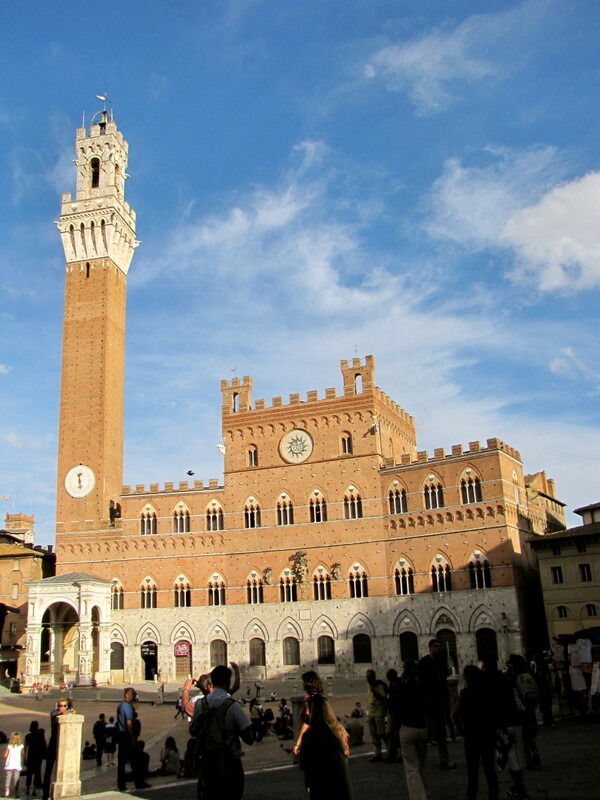 In your travels throughout Italy, have you found it necessary to know the language? Or, have you managed knowing only English? Just wondering, having recently returned from France. Hi Suzie. Just walked in the door an hour ago from a trip to Florida so I've been away for awhile myself. Will take me a week or so to get myself caught up in Hub Land but wanted to reply with my thanks for your great support. We are getting close to one year here, boy does time fly. Glad you enjoyed Pompeii. It really is amazing. Thanks again for the vote, pin, share, etc. Have a great day. Apologies for being slow to the party on this GEM on Pompeii. It is a remarkable and fascinating place you have captured perfectly. I have had an interest in it and seen a number of documentaries and movies. The amount of preserved items, buildings and frescoes is amazing. What a wonderful account you have given here, truly packed with all you need to know and see. Excellent job my friend in your usual stunning presentation. Your attention to detail is awesome. Voted everything, shared and pinned!! LOVE IT, seriously impressive. Hi Marco. Thanks for the visit. How interesting that you are a glass designer in Italy. I must say, Pompeii was a fascinating visit. Have a great day. Ciao. Another equally important and famous locations that is located a few kilometers from Pompeii, which was also destroyed by the eruption of Vesuvius in the year 79AD is, as you said, Herculaneum. 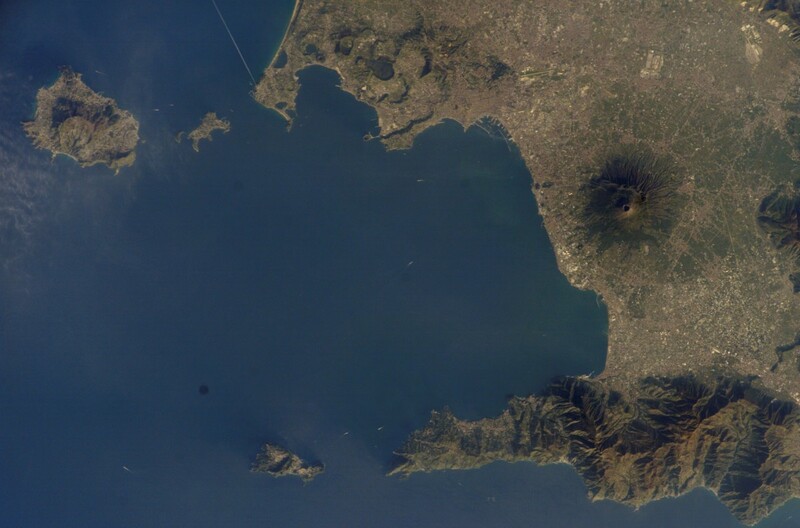 The eruption of Vesuvius was divided into two phases: the first was a total duration of 12 hours, with the fall of white and gray pumice, and the second for a period of seven hours made up by the alternation of hot clouds and pyroclastic flows. It was latter that hit mainly Herculaneum, burying it under a blanket of over 20 meters. They must have been two shocking and devastating experiences, especially because they were not probably ever happened in ancient times in large urban sprawl. Hi Alun. You are correct on all fronts. Here is a 2000 year old city that was basically frozen in time. It is just fascinating to walk the city today and imagine what life was like back then. And the tragedy of it is just enormous and sad. To see so many body molds frozen at the time of their death is so sad to see. I have thought the same thing of Pliny's account. Maybe as it was written 25 years later he was uncertain of the date. No matter if it was August or November it remains one of the great tragedies of mankind. Thanks so much for stopping by and the great comments. I am certain that you will return someday. Pompeii is to my mind Bill, one of the outstanding wonders of the ancient world. 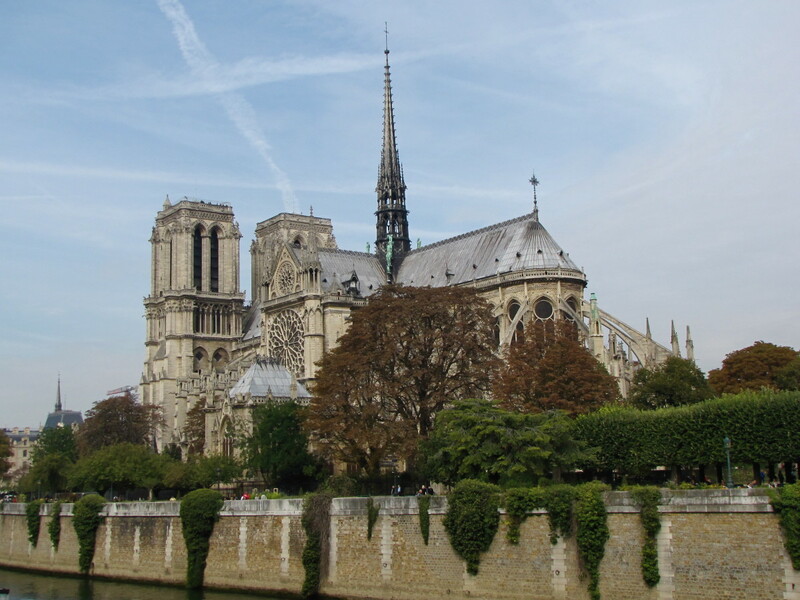 Of course it is a great ancient ruin with many almost perfectly preserved remains of the buildings, ornamentations and lifestyles, but it is also something else - one of the great tragic moments of history captured and preserved forever as it happened. I haven't been there since I was a child, and I must go back again soon. Intriguing to hear of the uncertainty of the date when the eruption actually took place. Perhaps the weather was unseasonal that year or fruits were imported from colder climes elsewhere? Or perhaps Pliny, writing so many years later, mis-remembered the date, confusing some other event such as an earthquake? Certainly Pliny's account in other respects is really exceptional and carries the first ever reference to a pyroclastic flow - considered by many to be a fanciful description of the eruption, until witnessed in other eruptions almost 2000 years later. Nice informative article Bill, and well illustrated. Voted up accordingly. Alun. Hey Jack. You are correct, they were actually quite sophisticated for their time. A great topic for your dissertation. Thanks for stopping by to read. Have a great day. Great hub bdegiulio. 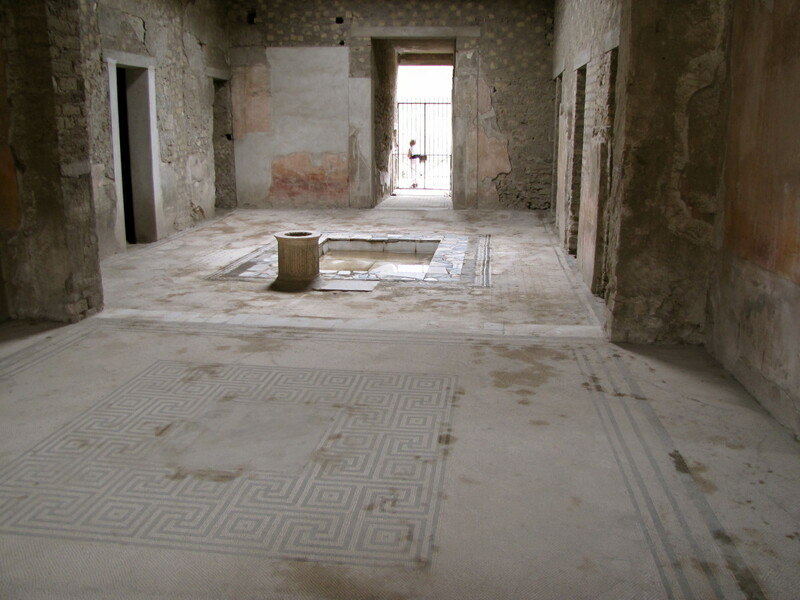 I did my dissertation on the House of the Faun at Pompeii. What a majestic place. A strong reminder that our ancestors weren't near as barbaric as we make them out to be. Hi Mike. Thanks for visiting. It certainly is a tragic tale of a community going from boom to buried under meters of ash in a matter of a few hours. Fascinating place to visit if you ever get the chance. many thanks for the vote and share, have a great day. What a tragic tale this Pompeii story! That is a highly informative hub Bill, thanks for sharing. Voted up and shared. Hi there Margarita. Thanks so much for stopping by, glad you enjoyed the tour. 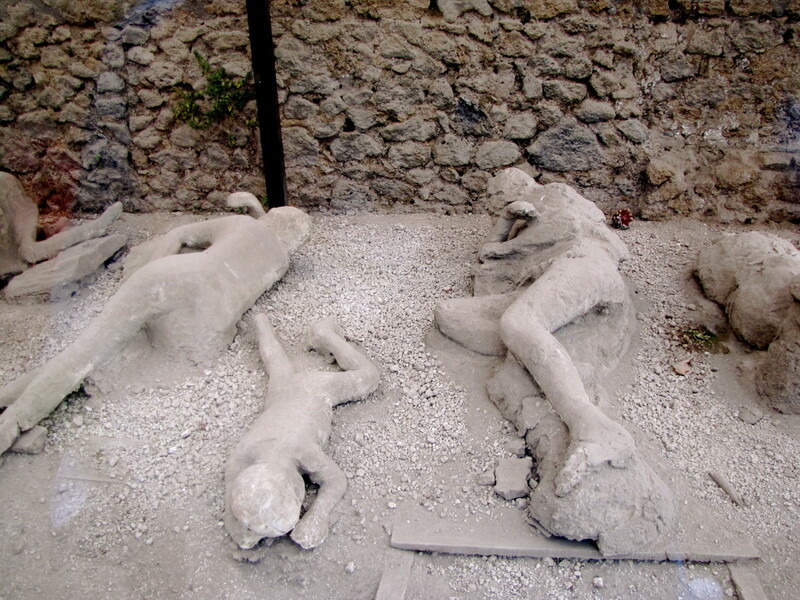 As much as I enjoyed Pompeii it was really sad to see the human molds, especially the children. Hi Carter. Thanks so much for the nice comments. You are right, Italy's history is just a tad beyond mind blowing. And Pompeii is right there at the top of the list, just an amazing place. It's still difficult for me to fathom that Pompeii existed almost 2000 years ago. Many thanks for the votes, share, and everything else. Have a great day. Ciao. Thank you Mary, I appreciate the nice comments. It was a wonderful trip. I had always wanted to see Pompeii and was not disappointed. It was fascinating. Thank you for the vote, share, etc. How could anyone not be interested in this fascinating hub? You've covered so much ground, literally. Your pictures are superb and your descriptions fascinating. Great hub! Hi Joan. Me too. I have always been fascinated with Pompeii and feel blessed to have had the opportunity to visit. Hopefully you get there someday. Thank you for the vote, share, etc. Have a wonderful day. Hi Sheila, Thank you, glad you enjoyed Pompeii. It still amazes me how sophisticated they were back then. I must say that the casts of the people who perished was very sad, especially the children. Thanks so much for stopping by and the vote and share. Fantastic read! Well written and documented! This has always been a fascinating tale, my Granny Madge was the first to tell it ito me, many years ago! Voted up, awesome, beautiful and interesting! Shared! Hava a good day! Hi Paradise. Thanks for the visit. Hopefully you get there soon, it's a fascinating place. Great hub! Thank you. I'd sure like to visit that place in person, myself, someday. Hi Glimmer Twin. Thank you for stopping by. 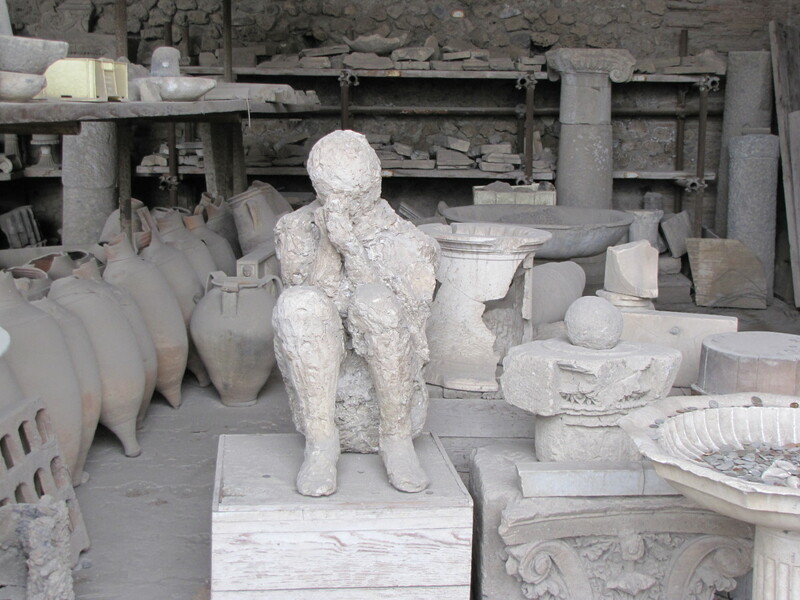 I found Pompeii to be fascinating and yet very sad. Seeing the plaster casts of the bodies and children was really heart breaking. It was really amazing to me how sophisticated they were back then with restaurants, bakeries, public baths, an aqueduct providing water, streets, etc. Many thanks for the share and a happy and healthy New Year to you. This took me back to my visit to Pompeii so many years ago. Went with a school group and we had a chaperone. We entered Pompeii and the first thing she told us was not to go to certain areas because they had inappropriate depictions of certain body parts. Boy was that a smart thing to tell us, because as you can imagine, as soon as we all split up, we all went straight to the "banned" area. Pompeii was fascinating and really quite moving too. Thanks for this awesome hub. Shared too. Hi Peggy. I too learned a few new things about Pompeii. I also was not aware of the discrepancy about the date. 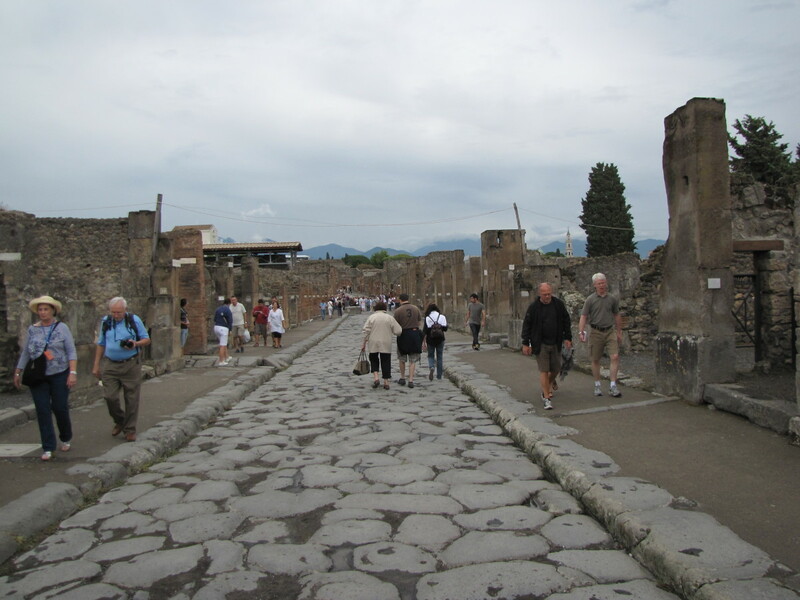 I must say that it was fascinating and sad to walk through the streets of ancient Pompeii. Almost sort of eery. Seeing all of the casts of the victims really made the horror of the moment hit home. The site really is a fascinating look back in time, sort of like a time capsule from almost 2000 years ago. Many thanks for the vote, share, etc. A happy and healthy New Year to you also. I remember seeing some of those amazing frescoes and the gruesome plaster casts of people and dogs when the Pompeii exhibit came to Houston quite a few years ago. Seeing the exhibit and artifacts and reading about the horror of that day remains firmly planted in my mind. Getting to see your photos of the actual site was most interesting. I had never heard about the discrepancy regarding the dates of the actual eruption. That also is an interesting bit of trivia. Matters not to the people who lost their lives that day! Happy New Year! Up votes and shared! Hi ALicia. It was fascinating to walk through Pompeii. The preservation of the city is amazing. Glad you enjoyed it. Have a great day. Pompeii is such a fascinating place. Thank you for creating this hub, Bill. It's wonderful to look at the photos and to learn more about life in the city. Hi Stephanie. I too have always had this thing with Pompeii. Getting the opportunity to visit the site was definitely a highlight for me. Hopefully you get a chance to visit someday. It really is amazing to walk through a community that is two thousand years old and in such a good state of preservation. Many thanks for the vote, share, pin, etc. I've always been in awe of the story of Pompeii since I was a kid. Maybe because I live on a volcanic isle. But your hub is so beautiful and pays honor to this historic site and the people who lived there. I hope to be able to visit it someday. Voted up, awesome, interesting, beautiful. Sharing on pinterest. Aloha, Stephanie - P.S. I also got info on the hub about creating dividers, so this was a 2 for 1. Hi Bill. It's definitely one of those sites that make you wonder at the horror of the moment. To see the molds of the children and animals is really a sad thing. It's amazing that this all happened almost two thousand years ago. Have a great weekend. Hi Judi. Thanks for stopping you. Pompeii was on my "list" for years and it was wonderful to finally get to visit this amazing site. 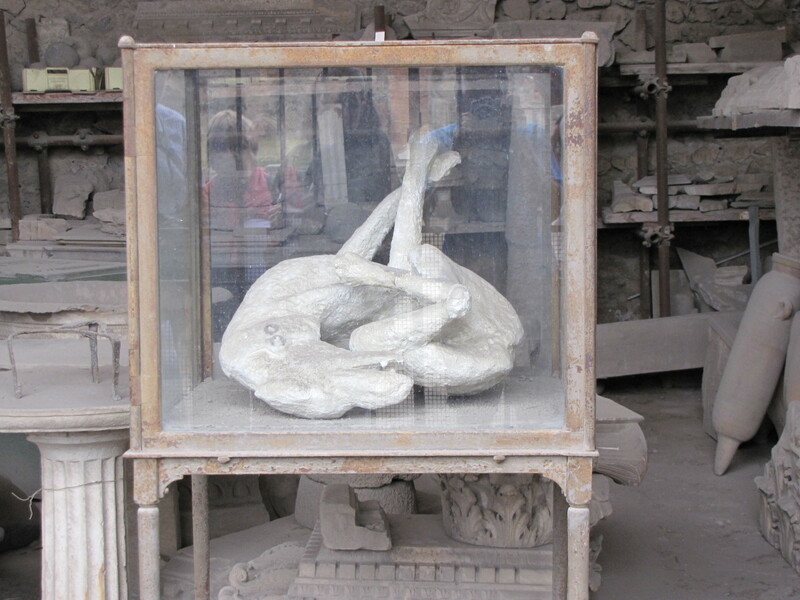 The plaster cast molds of the bodies are definitely something that sticks in your mind after seeing them. You can almost sense the agony they must have experienced in their final moments. Thanks again, hopefully you get there soon. I am always amazed when I see a picture of the Garden of the Fugitives....spectacular historical location....thanks as always for the tour my friend. When I was at school we learned Latin and the books we used were based around a family who lived in Pompeii. When the Pompeii exhibition came to the British Museum in the late 1970s the school arranged a visit - I still remember being fascinated and repelled by those plaster casts. 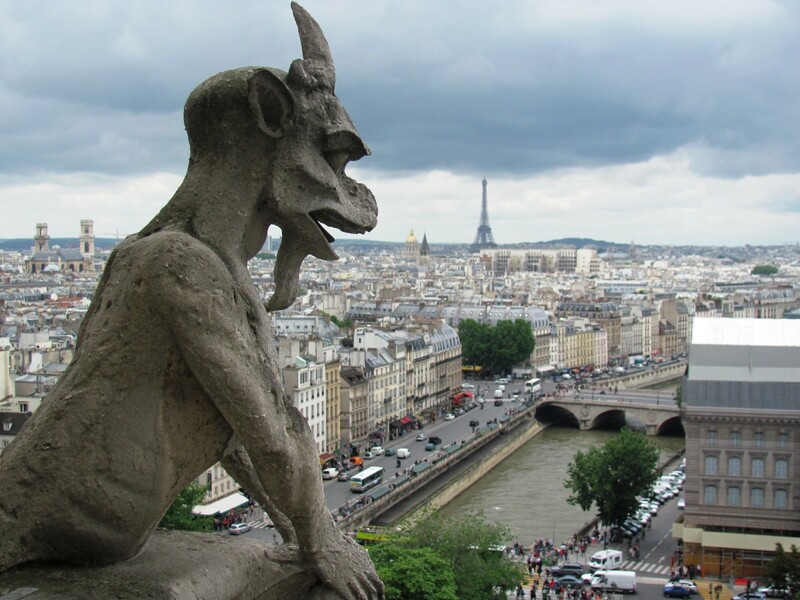 I would love to visit the city itself - definitely on my "to do" list.